Now that I managed to complete a few "boy" pages, I used the challenge from Cookin" Up Creations to do this page. The challenge was to be inspired by the movie Pretty in Pink - and to add the word Pretty somewhere on your page, the color pink and the color gold. I used a CM punch on some gold paper to add some hearts. Awesome take on the sketch! 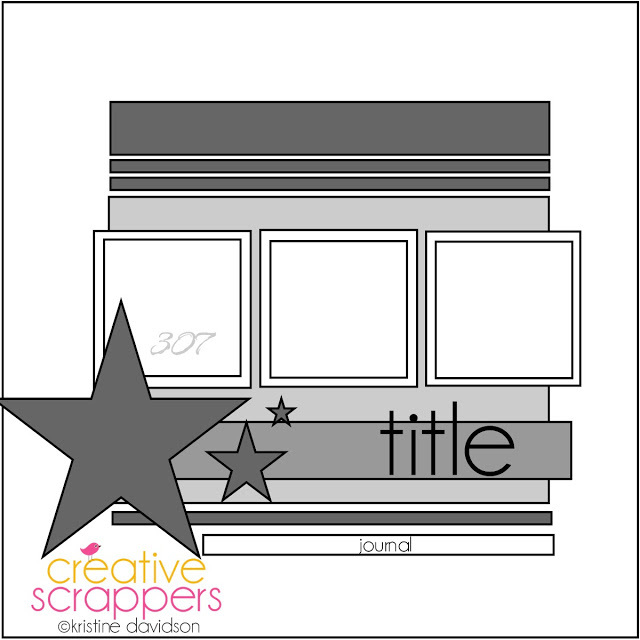 Thanks for playing along with us at Creative Scrappers! Great layout - love it! 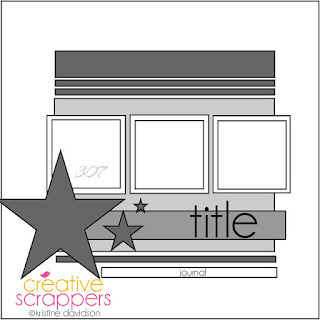 Thank you for playing along with us this month at Creative Scrappers! Fab layout, pretty! Great take on the sketch!